“Wow’ is the first word that springs to mind here. Chevrolet is celebrating its wildly popular 5th-generation Cmaro which has been very warmly embraced by the public and has sold nearly 500,000 units in the U.S. since it went on sale back in August 2009. READ ALL ABOUT THE BRAND NEW SIXTH-GENERATION CAMARO HERE! 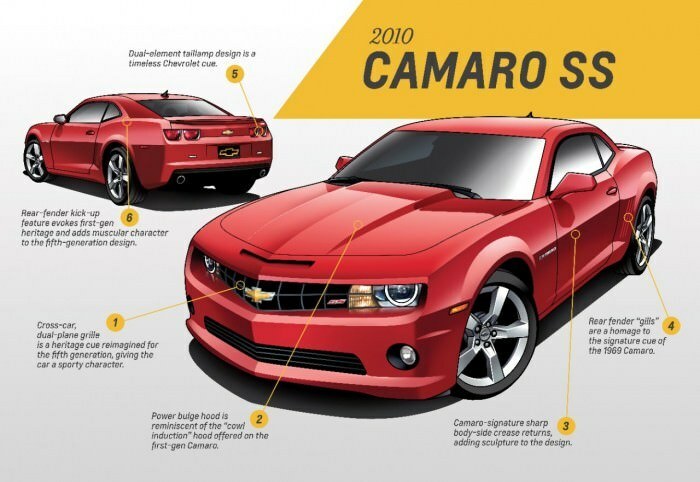 The Camaro has been a run away success for the Chevrolet and in 2010 it surpassed the Ford Mustang to become the best-selling performance car in the U.S. It’s been a real boon for the brand, with 63 per cent of buyers new to GM. Amazingly, the Camaro hasn’t lost any steam since its introduction–it’s actually gaining momentum, even though this year marks the end of the production run for the fifth-generation vehicle. In 2014, Camaro sales increased 7.1 per cent for the second-best year of sales since its introduction. And in the first two months of 2015 Camaro sales are already up 3.6 per cent over last year. Congratulations to all the men and woman who helped create the fifth-generation Camaro. We can only hope a few of them have instilled some of its magic in the yet-unseen sixth-generation Camaro.